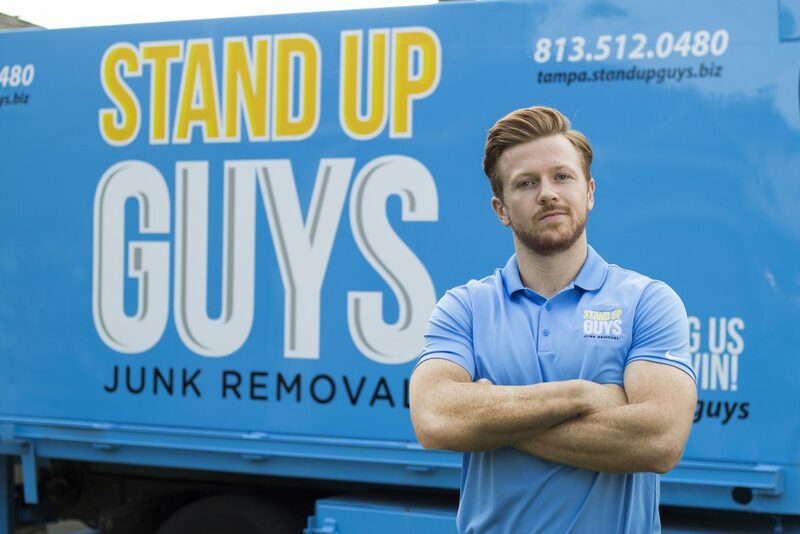 My name is Casey Walsh, I’m the owner and founder of Stand Up Guys Junk Removal. 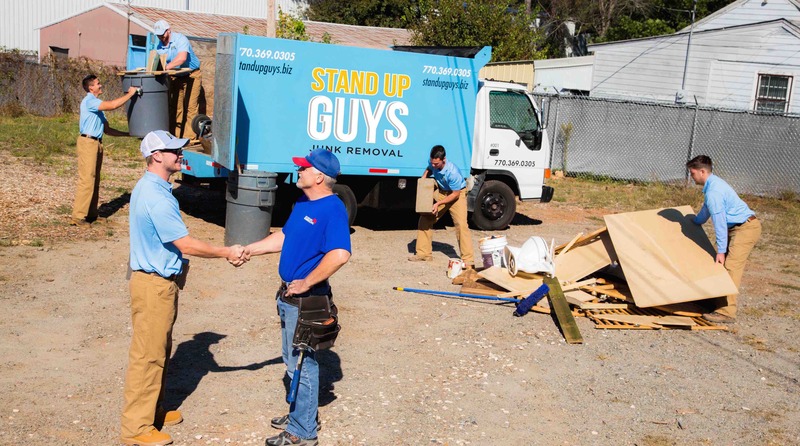 At Stand Up Guys we’ve had quite a few bumps and bruises on our journey to building this into the great company it is today. It’s all been a fun and a wonderful learning experience for all The Stand Up Guys. When you start at the bottom and work your way up in this world, you’ll find a wonderful appreciation for the business, your customers and what you all have created. I know I sure have. The Stand Up Guys story is a tale full of grit, determination and hard work. More than anything else though, it’s a tale of dreams and aspirations from a group of individuals that have worked together, side by side for years with the same goal of success. Team work makes the dream work! 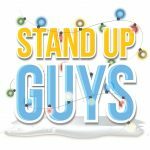 The Stand Up Guys story starts way back in 2005. I first started a small spring cleaning business when I was only 16 and still in high school. I worked alongside Carson, now our Director of Operations, during the summers when we were out of school. At first I was just raking lawns and cleaning small items out of people garages, mainly because that’s all I could handle. 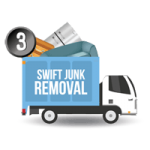 I soon realized, because of my customers and the demand of what it was they needed done, that there was an opportunity and huge need for a junk removal service in my hometown of Marietta. I took the money I had saved up raking and cutting lawns and invested into renting my fathers truck and trailer when he wasn’t using it. 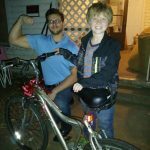 This seemed small to most, but to me it was a life changing experience. I was finally sticking my neck out there and doing what it was “I” wanted to do; Run my own business. Things went well on a small scale while I was in high school. Picking up loads of junk after school and on the weekends. Making my own money, helping people and being my own boss. I had it made in the shade. The summer after graduating high school I continued to haul junk around town, but it didn’t last much longer. Being as young as I was, I wanted to try other things and see what life had to offer. The feeling of owning my own business, working for myself and making my own money would never escaped me though. It was a blessing and a curse at the same time. Any other job I had after that paled in comparison. I tried many things in my life in a short period of time after letting go of my junk hauling service. I worked for different companies, doing odd jobs, even valeting cars at night to make money. The plan was to make enough money to go to college. The itch I had to work for myself wouldn’t leave me though. That itch eventually became too overpowering. I took all the money that I had saved up over the two years after high school. 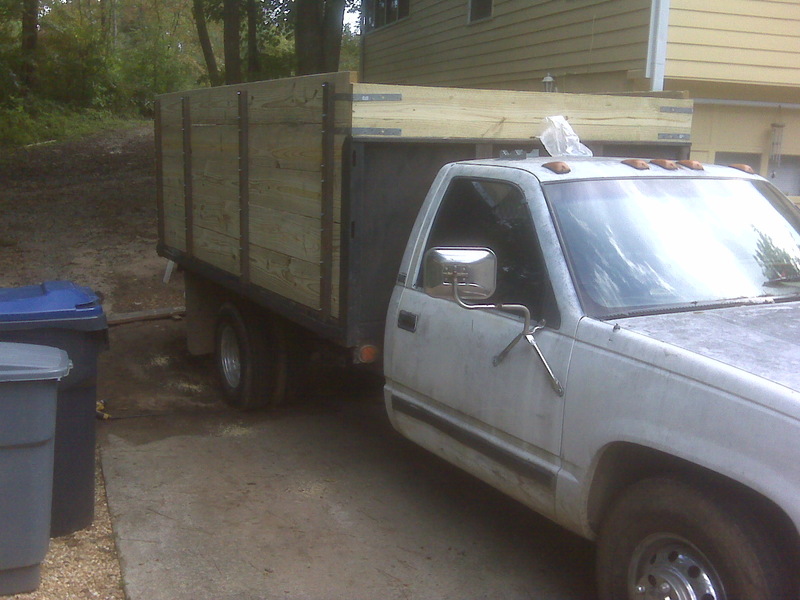 Instead of enrolling in college as I had planned, I dusted off the old business plan from high school and invested every dime I had into a truck, some small advertising and a dream. At 19 years old Stand Up Guys was born! With the money that I had saved up, there was only a small amount for me to disperse into this start-up. For that reason I wound up buying the only truck at the time that I could afford. 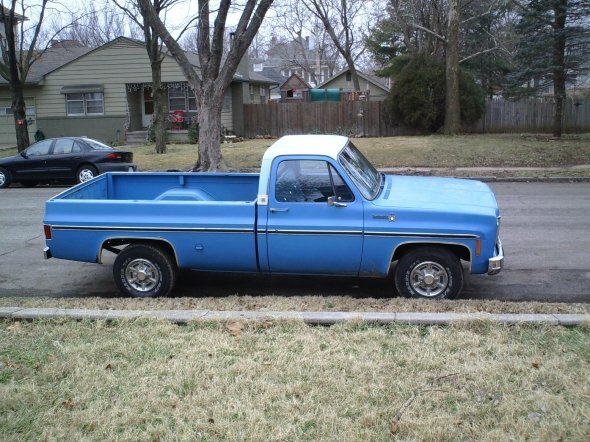 It was an old, beat up ’84 Chevy that I named “The Blue Bomber.” She was a rough ole girl, but she was as beautiful as anything in the world to me. I continued to use my fathers dump trailer that I used a few years back. He wasn’t using it nearly as much as he once had, so instead of ‘borrowing’ it when I needed it. He let me use it exclusively. My first attempt at branding my new business name started with that trailer. I took two pieces of old plywood painted them baby blue, then spray painted out ‘Stand Up Guys Junk Removal‘ on the side in white. It was off to the races. It was rough treading at first, mainly because I was driving an old beat-up truck, that never wanted to stay running for long and didn’t really have enough money to hire on full-time help. I was a little rough around the edges on the marketing side as well. Mainly because I didn’t know the first thing about it and a lot of my time was taken up out on the job. I knew that these were just growing pains and that I needed to fight through it in order to get to were I dreamed Stand Up Guys could be. At first, I was getting all my work from the little road signs that I would hand make and put at stop signs and small intersections. That and the fact that word of mouth around the neighborhood was beginning to spread. Early on I learned how to take care of my customers, because if they didn’t tell their friends about Stand Up Guys, then nobody was going to know about us. After the initial growing pains from the start-up, things were starting to look up. I had on full-time help and junk was consuming my life (in a good way). At the time I didn’t want anything to slow down the momentum, or hold me back. That alone was the biggest factor in my decision to continue to hold out on college, at least at the moment. Business school is extremely important in learning how to run, or even start a business that you want to be successful. I took the harder, slightly less traveled road, by not going to school for business. I was learning as I was going and learning from real life experiences. I wound up taking a crash course in business over the next few years, or the ‘business school of hard knocks‘ if you will. It was like a roller coaster in the beginning stages. Big ups and sometimes even bigger downs. Every time things would go wrong, I would take them as a personal learning experience and soak up all I could from it. I learned double fold from my failures in the business over the years then I ever did in my successes. Either way, we made it through whatever obstacle came our way. It was hard getting respect and being taken seriously by people, being I was just a kid and driving an old beat up truck. I knew I was going to have to keep on fighting through til I climbed the latter. I continued to save, save and save. Until we were finally able to afford ourselves a somewhat nicer dump truck, (oh, and some uniforms). Those two things alone greatly changed the perception of my small business. People began to see Stand Up Guys in a different light. Once the original Stand Up Guys Crew was equipped with the right tool, which was our new dump truck, aka “Dumpatron” we were off and running. We could now do three times the amount of work in one day then we could with “The Blue Bomber”, and we were able to charge less. This was one of the biggest steps in the growth of both myself as a business owner, and Stand Up Guys as a whole. The advertising scheme didn’t change much over the first few years though. 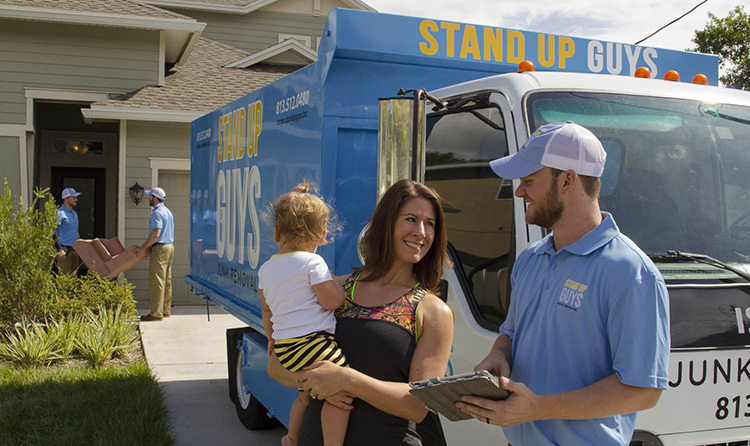 The Stand Up Guys Crew just continued to take care of our customers, go the extra mile and live up to our name on every single job. 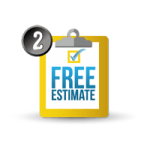 Our customers continued to be more and more impressed with us. In return they would all tell their friends and family all about this nice little company, with a cute name that they used called “The Stand Up Guys.” Now that’s how the word around town really began to spread. We not only took care of our customers, but we also did what we could to help out in the community. We quickly realized that so much of what people were throwing away wasn’t always “junk“, but instead they were things we could give back to some that needed it. We found out that the saying “One man’s trash is another man’s treasure,” was the real deal. 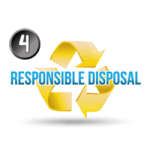 We began donating and recycling every item we possibly could, a staple of our business that still holds strong today. Carson, Pepper, and I worked side by side for years learning everything we could, about the business, the customers, and the community. 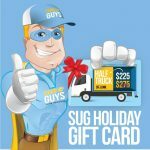 When the day came that I handed over the keys of the truck to the two of them, there was no doubt in my mind that our customer service would continue on the same awesome path it was on. I was right, because with the two of them at the helm of our crews, the customer service had actually began improving regularly. Most of my energy then began to go towards marketing, advertising, spreading our name, answering phones, doing the business finances and a heap of other things that kept me pretty busy. Even though I’m not dealing with as much junk directly as before, my heart is still with Stand Up Guys, after all it is my baby. I take as much of the load still to this day to free up my awesome managers to do what they do best. They can focus on the most important thing of all in our company, the customers. Stand Up Guys Junk Removal, LLC isn’t an enormous company by any means, but we have come a long way since that beat-up old pick-up truck. More than anything we’re extremely proud of how far we’ve come and how bright our future looks. One of the main reasons Stand Up Guys been able to grow as quickly as we have is truly because we put our customers and their needs above all else. The customer care we instilled in our early days has been woven into the fabric of our company culture. Also, by keeping Stand Up Guys privately owned and not franchising to outsiders, our company culture stays strong and in house. Another way we have kept our ‘company culture’ strong is in our hiring process and how we move our employees through the ranks. 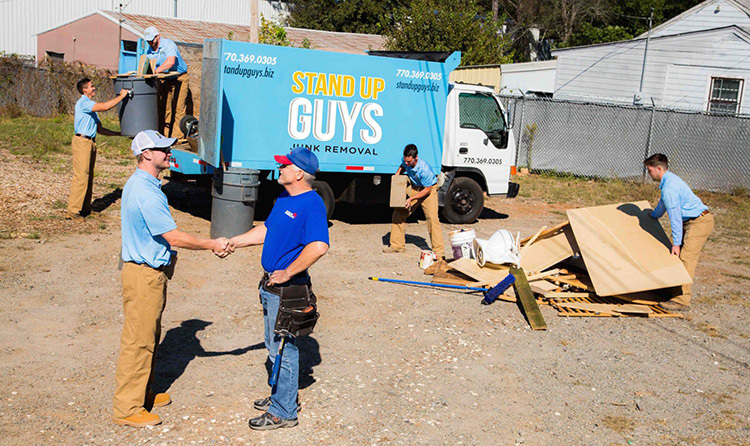 We don’t just hire anyone, we hire Stand Up Guys! We hire individuals that will keep our good name, image and culture strong. When we hire management, we don’t hire outsiders either. We promote within. Our managers have been through it all and know what it means to be a Stand Up Guy. 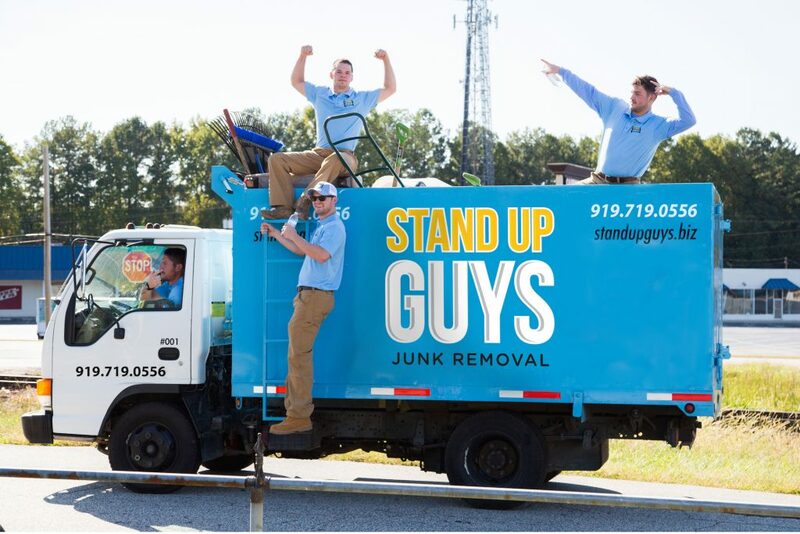 The Stand Up Guys have grown from just me and that old pick up truck into a legitimate, nationwide junk removal business. Back then I just needed “help” on the side, but now we’re creating new jobs for young America on a regular basis. We’ve created numerous employment opportunities and helped tens of thousands of people with junk and clutter issues. 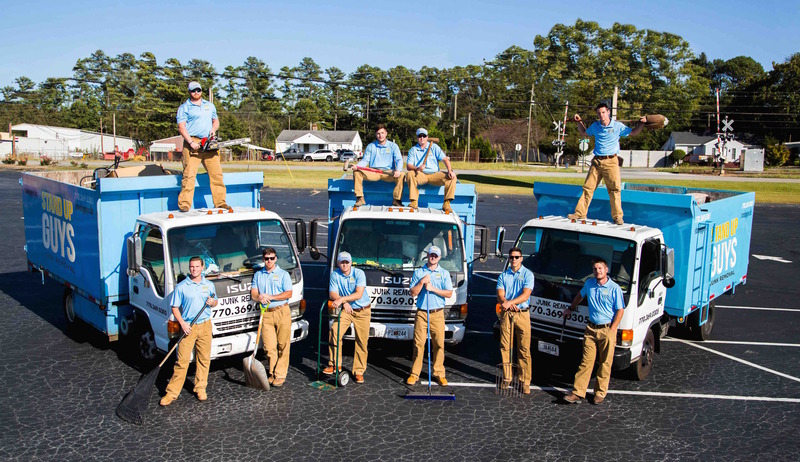 Instead of franchising to outsiders that haven’t lived and experienced our company culture and learned ‘Stand Up Guys Way’ through experience, we’ve grown from state to state as a privately owned company. 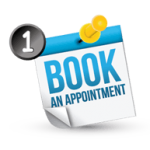 We hire our Branch Managers from within to run each of our branches. In most cases this Branch Manager has been part of Stand Up Guys for quite some time and has tenor with our company. This means that individual brings with him the same culture we’ve always had. This gives us a huge advantage over other franchised companies in the industry. Since everything is under one roof and our managers are tenured Stand Up Guys, we are able to control our customer experience, pricing and much more. 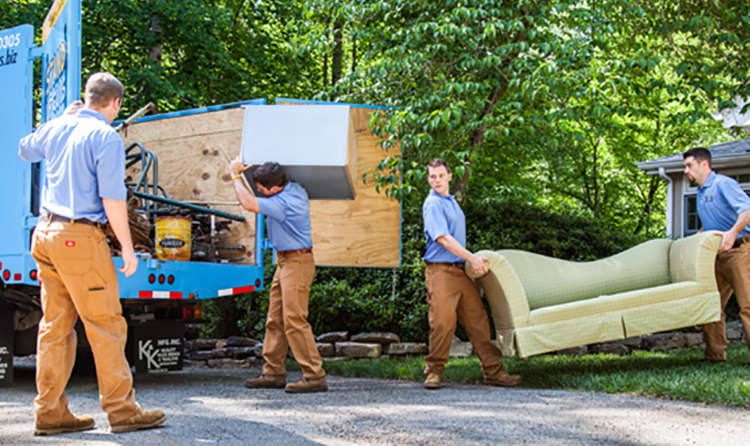 No matter where you are, if you hire The Stand Up Guys today, you’ll get the same amazing service. 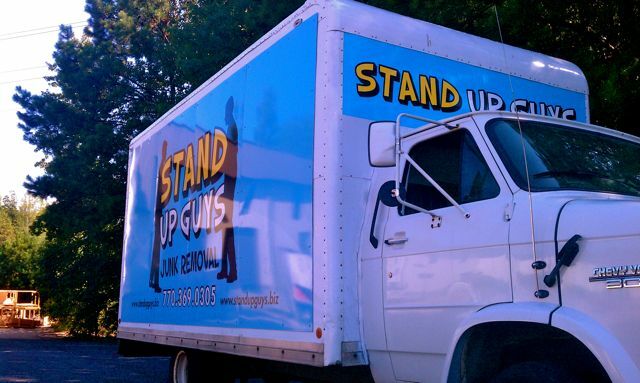 We’ve expanded to more and more trucks, more and more Stand Up Guys and more and more cities and states. 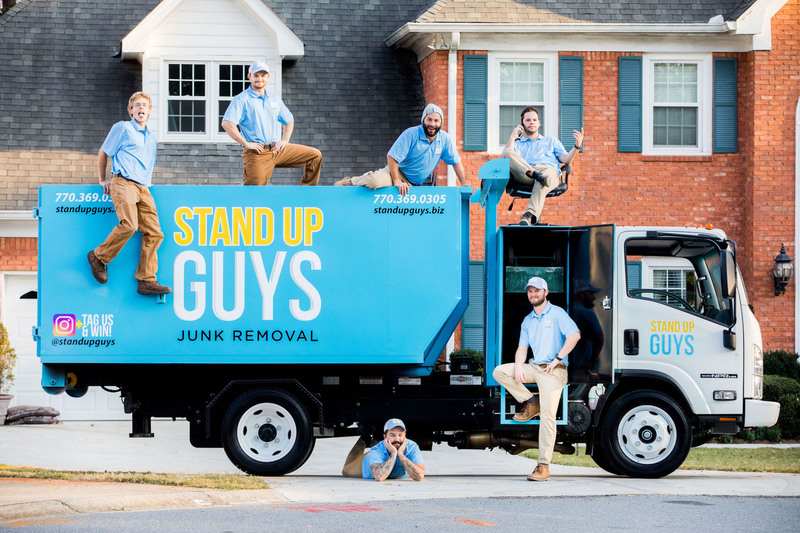 The Stand Up Guys reach covers all of Metro Atlanta, Ga, all of Tampa Bay, FL, Raleigh-Durham, NC, Dallas-Fort Worth, TX and all of Nashville, TN! The Stand Up Guys have numerous full time employees across all our branches, both administrative, sales and in the field. The best part is we are all young and hungry. We plan to keep this trend rolling and keep the employment rolling in. In the end this is still just a business, but giving back and helping our own is more important than ever.